What’s in a name, retro on the reels. Life is short and this exciting game is waiting for you. Play it simply with 5 reels, 20 paylines with excellent graphics that you know of Microgaming. They’re excellent at giving classic games and exciting twist, all while keeping it minimal and well organized. 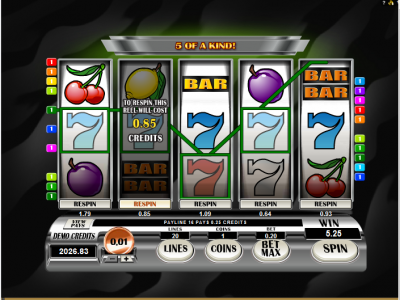 Play this slot at one of the Microgaming casinos, all known for their sleek design and well-functioning software. Play this slot for free or try it out with real money from the first time. Microgaming is one of the leading slot suppliers worldwide, so you can expect only the best slots coming from their hand. Although retro reels isn’t progressive, it has many exciting features waiting to be explored. A bliss of oldschool gambling you get with the retro reels and its classic symbols. Even if you’re not a seasoned gambler, all the symbols will seem familiar, with the lucky 7’s, single and double bars of fruits. This is not your one dimensional English bar slot, no this one comes in 3D giving you a great player experience. The retro reels slot doesn’t have wild symbols, but it does have scatter symbols. Before you get to play, you have to decide on your bet. Coins range from from 0.01 to 0.25 and can simply be adjusted by using the “+/-. 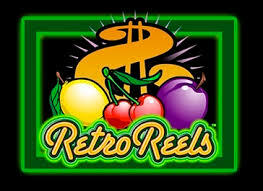 Retro reels has a reasonable jackpot of 10.000. The RTP is 96,47% (which is the number indicating how good your chances on winning are on the particular slot), is reasonable but not great. After adjusting, you can either go for the autoplay option or work the reels yourself. A fun time guaranteed.